ADM21’s latest windshield wiping technology is being widely applied in making driving safer than ever. The maker’s most visually advanced wiper blade is the “flat” blade, which gives exceptional visibility. 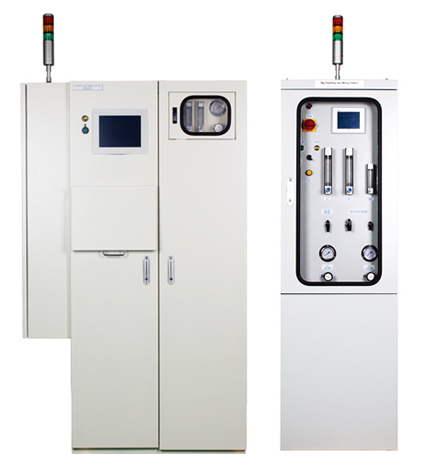 Sehwa Hightech has since its establishment in 1995 been solely focusing its energy on meeting the needs of its customers through developing and supplying automatic gas mixing systems especially for such local major customers as Samsung Electro-Mechanics, POSCO, Korea Railroad Research Institute. Seoul-based IPEC High Precision has been rapidly growing into a specialty manufacturer in Korea of a wide spectrum of ustomized high-precision machinery parts - based on its own competitiveness secured through technology innovation, ontinuous investment in R&D, and training of core personnel since its establishment in 2000. S. Korea’s environment industry market is finally entering a growth phase. Few deny the fact that this desirable trend of the nation’s current environment industry market could have been strongly boosted by some potential small but strong ventures in terms of their innovative technology and ardent desire to contribute to the overall improvement of the country’s outdated industrial sector. automotive industry through its dedication to developing and releasing highest-quality auto parts, particularly brake pads and inings, since its founding in 1953. Sung Shin RST has since its establishment in 1990 been professionally involved in manufacturing and exporting of its flagship bogie assemblies of locomotives as well as completed vehicles, leading the technological trends and market of South Korea. ILWOO Tech, a promising new venture in the area of automotive parts washers, has proudly presented a new concept of ecofriendly automotive parts washer dubbed “KHP-V37.” The eco-friendly automotive parts washer features the non-open type washing method, which blocks the escape of harmful volatile organic compounds (VOCs) into the atmosphere. This not only significantly reduces air pollution, but also protects workers from various kinds of hazardous substances generated in the process. DAEDONG INDUSTRY has been actively engaged in manufacturing of steel plate, coils fabricating steel strips, strapping seals, and protection steel plate rings including wooden skids and pallets for industrial packaging since it started its business under the company name of “Dong Hyup in 1986. Swell Tech Corp., which started its business in 2002, has recently unveiled a new type of blasting system, called “plasma rock blasting system,” a highly economical and fully digitized system.